Gathering God's Promises 1 - Plant the SEED! In order to receive ANYTHING from God, it starts with the SEED of HIS WORD!! 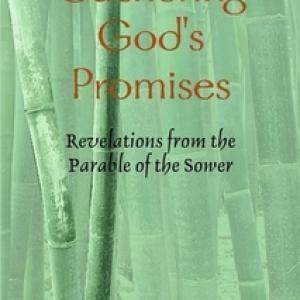 This series is from Pastor Steve's book, Gathering God's Promises, A Revelation of the Parable of the Sower. Learn how to see God's Promises Manifest in your life! Gathering God's Promises 1.2 - Plant the SEED! Gathering God's Promises 2.1 - WORD POWER! Gathering God's Promises 2.2 - WORD POWER! Gathering God's Promises 3.1 - Word ATTACK!! If Satan can steal God's Word, he can prevent God's Promise. Listen and grow in respect for God's transforming WORD! Gathering God's Promises 3.2 - Word ATTACK!! Jesus compares the Farmers Wayside with the Calloused Places of our heart. Listen and learn how to discern areas that God's Word is blocked in your life. Gathering God's Promises 5.1 "Rocky Soil Hearer"
Listen & be able to the identify any Rocky Soil areas of your Heart. Gathering God's Promises 5.2 "Rocky Soil Hearer"
Gathering God's Promises 6.1 - "Cares of this World"
Continuing in our Revelation on the Parable of the Sower, we move on to the Thorny Ground. Gathering God's Promises 6.2 - "Cares of this World"
If our adversary will bait Jesus with the Deceitfulness of Riches, he'll bait us as well. Listen & learn to discern if opportunities are from God or the enemy.